The Preseason 2019 hub is now up on the client, showing off some of the upcoming changes we will see with Patch 8.23! 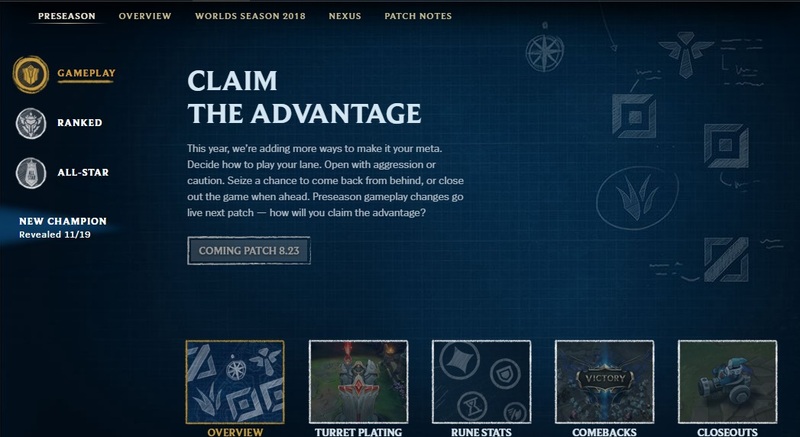 It also notes that we will a new champion revealed on November 19th! 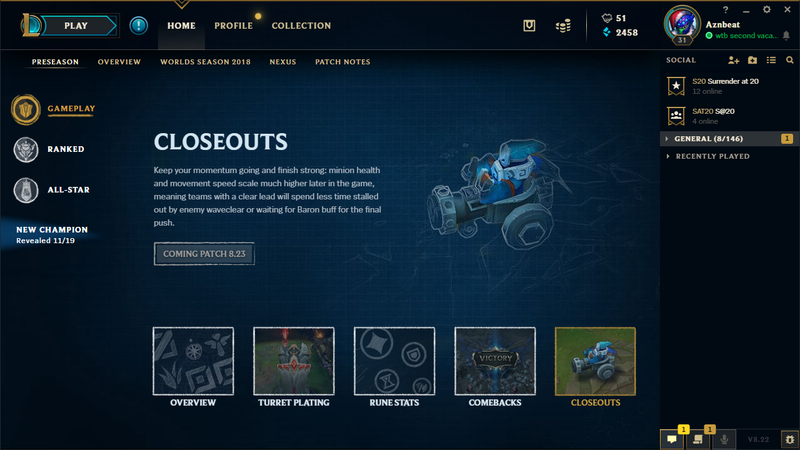 Continue reading for a look at the client hub! 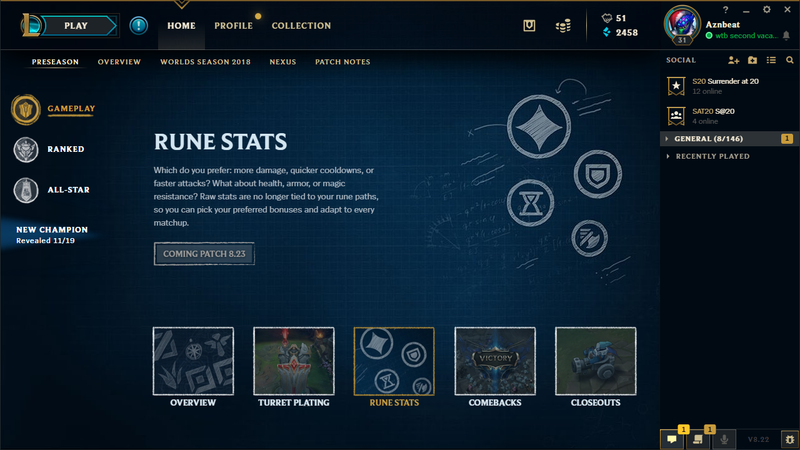 With preseason headed our way next patch, a hub brimming with preseason overviews and information has popped up in the live client! 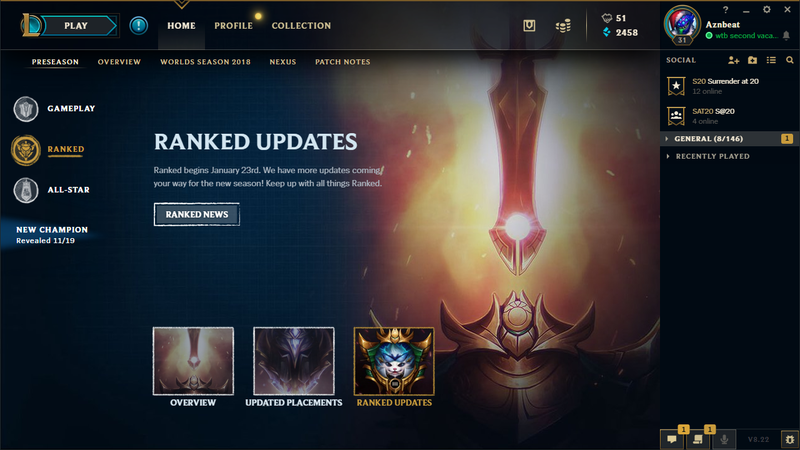 Here you can find more on gameplay and ranked changes, along with a reminder on the upcoming All-Star event! 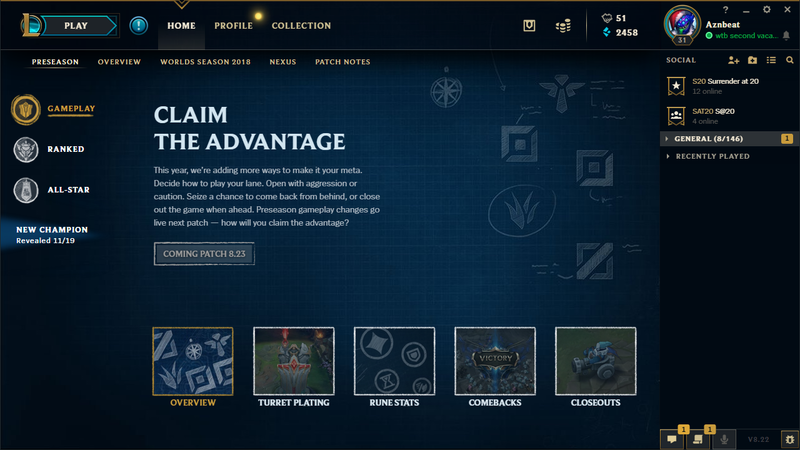 Check out the client for more info; or here's a gallery of what to expect and helpful links! 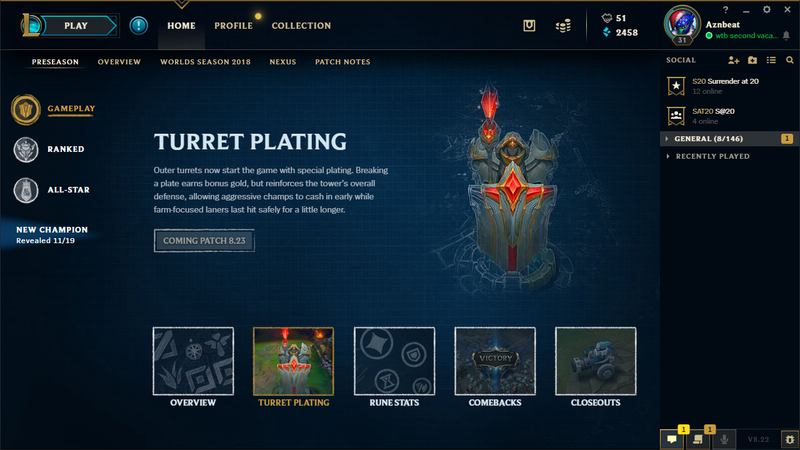 For gameplay, we have a few tabs dedicated to the upcoming changes for turret, rune, and comebacks & closeouts. 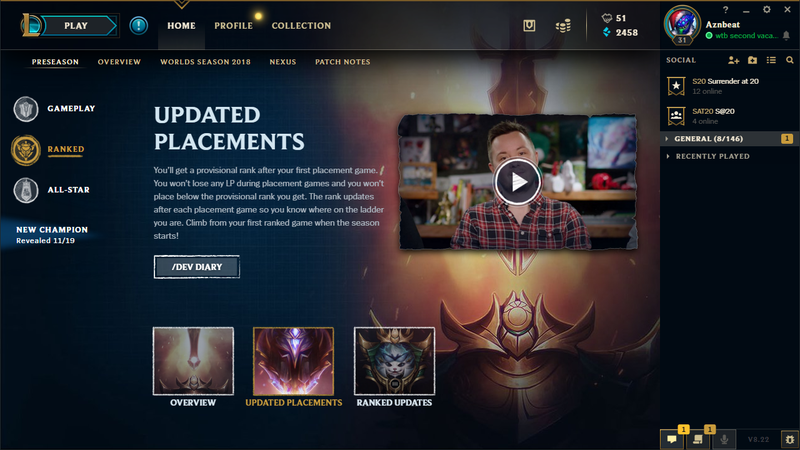 Look for specifics on these changes with the 8.23 patch notes or read up over on the Dev Corner boards- including preseason update #3! 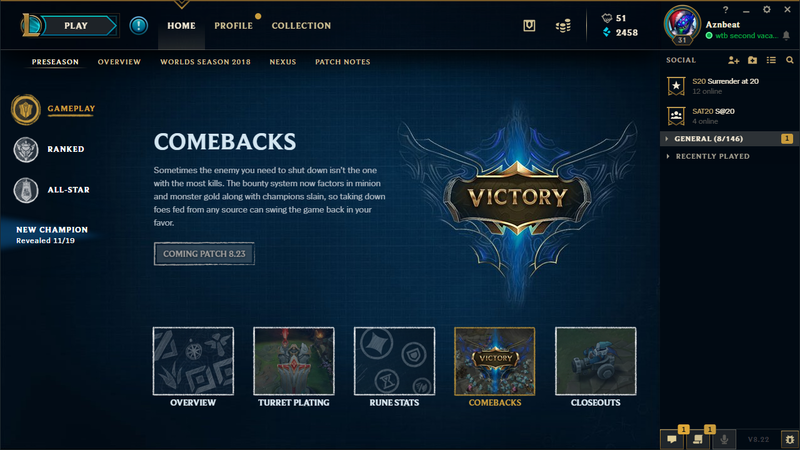 With the new season comes a slew of ranked changes! 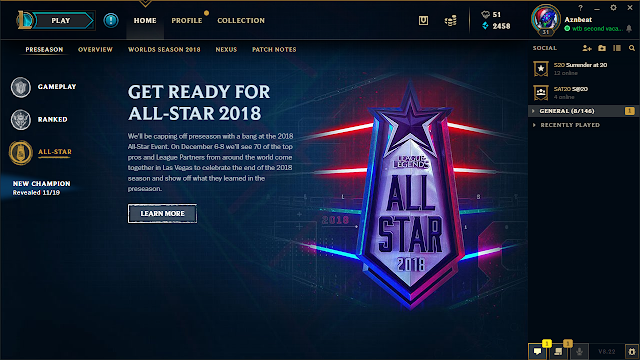 The 2019 All-Star event is also fast approaching! The action kicks off December 6th! 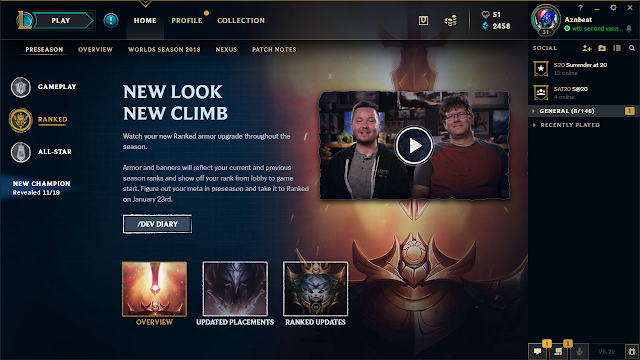 The bottom of the sidebar also mentions that we'll see a NEW CHAMPION revealed on November 19th! Stay tuned for more info or check out August's road map to hold you over until then!